No time to blog over the last week or so. The garden is in full production and it's a full time job harvesting and then processing the fruit & veg ready for storage or immediate consumption. 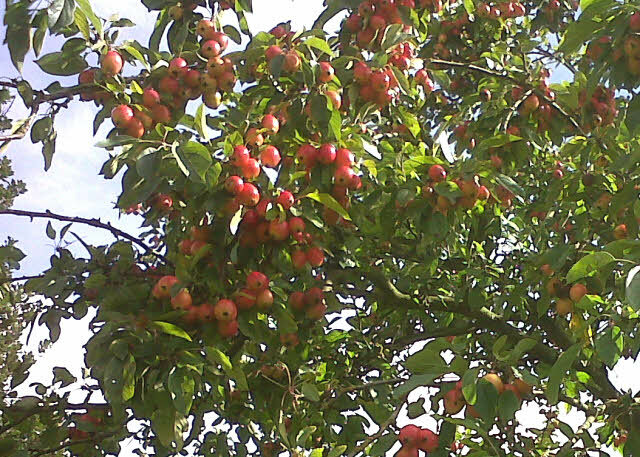 A big producer this year is our Crab Apple Tree. Last year we really thought it had died. The tiny fruits dried up and fell off as did all the leaves during the summer. 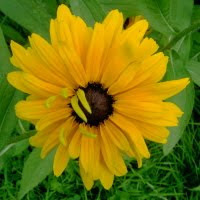 Early this spring, before the flowers came out, I sprayed it with an organic fruit tree wash in case the problem was an aphid or moth or bacterium. Anyway, whatever the problem last year, this year the tree is loaded with beautiful yellow and red fruits. We've made two batches of Crab Apple Jelly so far - 10 jars of plain jelly (beautiful, clear ruby-red), 4 with sage and 4 with rosemary. The jelly with herbs is great with roast pork, lamb or cheese. 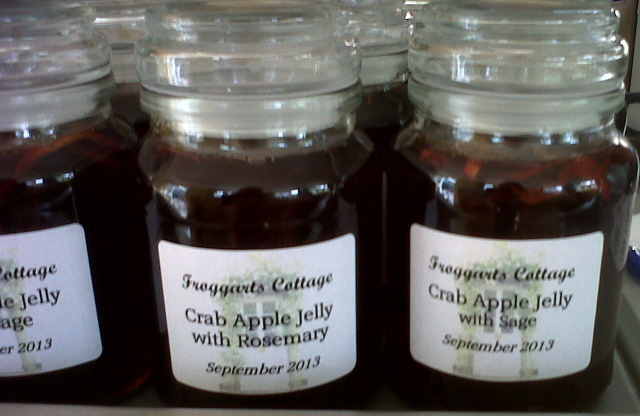 Crab Apple Jelly in jars - we used coffee jars. 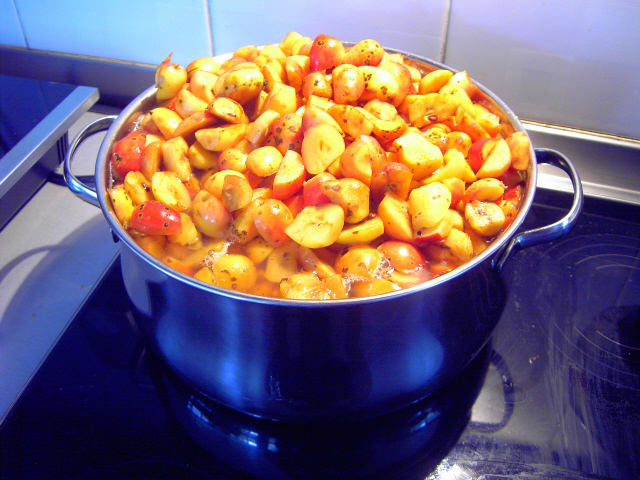 We also made Marrow & Apple Chutney which is a great favourite.